PayPal price plans shown in GBP (£) but can be paid for in the equivalent local currency. Since 1999 Lena Benjamin has been an advocate for the advancement of professional women from the days as a young board member for the women of the year lunch and assembly to developing an online platform connecting member coaches with professional women in 2010. Plus a stint as London Chair for the Women in Management Network and global travel across North America and Europe. The journey led me to develop EmpowerHER Global with an online business growth platform, podcast and virtual summit in development. My quest is to continually progress female founders and women business owners around the world. Can I receive a free session? Yes, click here to schedule a free 30-minute business growth coaching session. What is the Podcast promotions? Lena Benjamin interviews FemFounders on the EmpowerHER Global Podcast which now appears on all major podcasting platforms including Apple, TuneIn & Stitcher. All FemFounder recipients of the online business growth coaching receive monthly interviews and articles to promote their business and progress. This will help drive awareness and desire for the product or service being offered. Once you choose a plan and become a client you will have access to the WhatsApp Group for FemFounders Worldwide to get support and engage with others. This is of course optional. Who is the online business coaching with? Can I join the LinkedIn Group? Do you develop a custom business growth plan? Yes, you can complete the form below to request a custom business growth advisory quote. Are you going to build-out an online platform? Yes, eventually the EmpowerHER Global Platform will be built out and include other business growth coaches for women business owners worldwide. 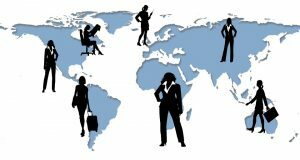 Can I refer a woman business owner? Women business owners and female founders can alternatively request a custom quote to receive ongoing advisory sessions over a 12 month period. Just complete the form and we will get back to you. EmpowerHER Global Podcast on all major podcast platforms including Apple, Spotify, ​and TuneIn. Click to get involved or listen to the podcast above.